Redwood is an 'appearance wood' and is sought after for interior panelling, cladding, decking, and fencing. Demand for redwood appears to be consistent regardless of the level of new building activity as it is used as much in renovation as it is in new buildings. The price of redwood logs has been twice that of Douglas fir and nearly three times that of pine logs in California for many years. 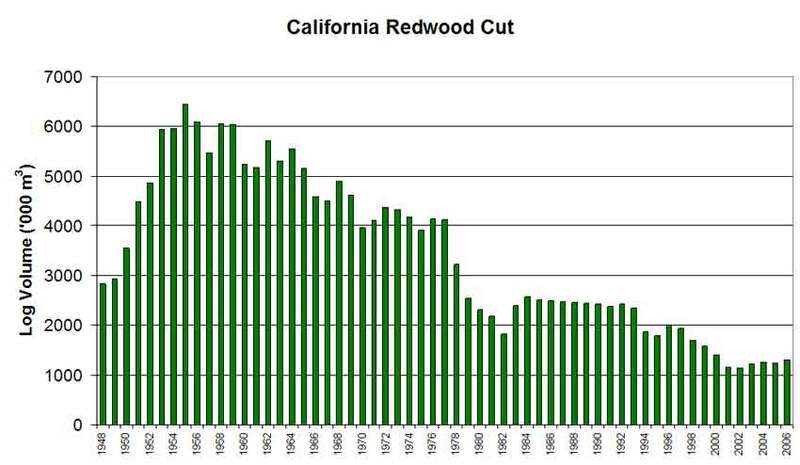 Although the forestry and wood processing industries in California are facing a serious downturn, prices for recent sales of redwood logs have held longer at previous levels than prices for other logs. Redwood timber has a lovely rich red colour that makes it extremely sought after for interior and decorative uses. Low rates of shrinkage, warping or checking are a particularly important characteristic of redwood. Stability of wood exposed to the weather is one of the reasons it is so popular for decking and outdoor joinery. Natural durability means redwood can be used outdoors (though not recommended for ground contact). Wood treated with toxic chemicals can be avoided and this is another reason redwood is so popular. Redwood is a porous wood and contains very little resin which means that it will absorb a wide range of finishes and retain them better than most other woods. 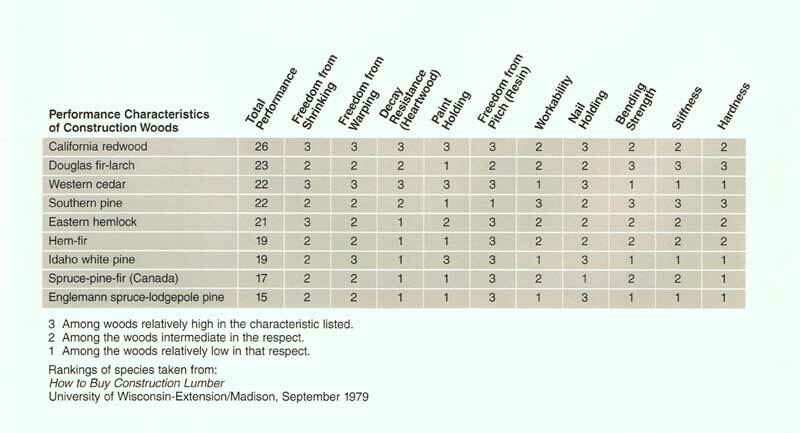 This table shows the rating of Californian softwoods in various characteristics. For a number of years now, the supply of redwood lumber has barely met the demand from the Western States in which redwood is grown and there is significant unsatisfied demand in the Eastern states, Europe and Asia which cannot be met at present levels of harvest. Historically Redwoods have not been planted outside their natural range to any extent anywhere in the world which makes the New Zealand plantings potentially very valuable. Rapid growth and longevity mean redwood stands can carry huge volumes of wood and are therefore ideal for carbon sequestration. Studies of tree survival in New Zealand redwood stands show that mortality is almost non-existent. Redwood is very wind-firm and the collapse of older stands that is seen in other commonly grown softwoods is rare in redwood stands. Redwood trees are also naturally fire resistant due to their thick fibrous bark. These characteristics mean that redwood growers have flexibility in when they can harvest their stands if they choose to harvest at all. The risk of liabilities arising as trees storing carbon burn or blow over is relatively small. The ability to trade carbon credits means forest owners may see a return on their investment early in the rotation or without ever having to cut their trees down.